Douglas Jennings, Jr. was born on May 15, 1956, in Bennettsville, South Carolina, the son of Dr. and Mrs. Douglas Jennings. He attended local schools in Bennettsville, SC and in 1978 received his B. A. degree in Political Science from Clemson University. In May of 1982, he received his Juris Doctor degree from the University of South Carolina School of Law. In 2002, he received an Honorary Doctorate from Francis Marion University. While at Clemson, Jennings was a member of the Debate Team, President of the Interfraternity Council, President of Tiger Brotherhood, Charter President of Clemson Young Democrats, and Pi Kappa Alpha. He received the Wofford B. Camp Award given by Blue Key National Honor Fraternity in 1978. At USC Law School, Jennings was a member of Phi Delta Phi legal fraternity and was the charter President of the Student Chapter of South Carolina Association for Justice. In 1978 and 1979, he served as a Legislative Assistant in Washington on the House Appropriations Committee and for former Congressman John W. Jenrette, Jr.
From 1979 through 1982, he served as Research Assistant to the South Carolina Senate Judiciary Committee in Columbia. In May of 1982, he returned home to Bennettsville and began his practice of law as a full-time Assistant Solicitor for the Fourth Judicial Circuit prosecuting criminal cases in Chesterfield, Darlington, Dillon and Marlboro counties. He went into the private practice of law in 1984 and Jennings continues a general practice of law in Bennettsville in the Jennings Law Firm, LLC. He is admitted to practice law in South Carolina, in the Federal District Court for South Carolina, in the U. S. Court of Appeals for the Fourth Circuit and in the United States Supreme Court. He is a member of the South Carolina Bar where he has served as a member of the Young Lawyers Division Executive Council and the Criminal Law Section Council. He served on the Board of Commissioners on Grievances and Discipline from 1989 to 1991. He is also a member of the South Carolina Association for Justice, American Bar Association, and American Association for Justice. He also participates in the Pro Bono Program. In 1993, he was given the Compleat Lawyer Award by the University of South Carolina Law School. He has written two published legal articles -"Corporate Litigation: Clarifying Service of Process by Mail" South Carolina Lawyer Sept/Oct 1993 and "ALJ Division Will Be a Big Change," Trial Lawyer Bulletin Fall/1993. He has presented numerous Continuing Legal Education (CLE) programs for various organizations over the past 20 years. Jennings’ practice consists primarily of civil litigation, and he holds the highest possible peer review rating (AV) from Martindale-Hubbell. 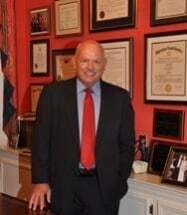 He also is included in the 2013 “Top Attorneys in SC” list by Columbia Living Magazine (May 2013). Jennings is also listed among South Carolina's "Super Lawyers" for 2014 as well as the National Trial Lawyers "Top 100 Trial Lawyers" list. He also is a “Certified Circuit Court Mediator” by the SC Supreme Court's Commission on Alternative Dispute Resolution. Jennings has participated in numerous civil mediations and is a strong believer in mediation as an effective way to resolve civil disputes. He is available to serve as Civil Mediator in all Circuit Courts in South Carolina. Jennings has shown a particular interest in rural economic development issues serving as Chairman of the Governor’s Rural Economic Summit in 1997, and receiving the Governor’s Rural Economic Development Leadership Award in 1999. He was named Legislator of the Year in 1995 by the South Carolina Department of Revenue. He was awarded Legislator of the Year by the South Carolina Trooper’s Association in 1997. He received the President’s Award from the Marlboro County Branch of the NAACP in 1998. In June of 2000, he was named Legislator of the Year by the South Carolina Human Services Providers Association. In 2000, he was named Legislator of the Year by the SC Association of School Librarians for his support of school library medical centers. In 2000, he was named Legislator of the Year by the SC Recreation and Parks Association. He has also received the Community Service Award from the Marlboro County High School Bulldogs Athletic Department. In June 2001, he received the Marlboro County Board of Education Spotlight award honoring him for his dedicated service to public education on behalf of the citizens of Marlboro County. In September 2001, he received an Award of Appreciation for his dedicated support of the South Carolina Association of Community Development Corporations. In December, 2001, he received the Distinguished Service Award from “Save the Seed Ministry” of The Bennettsville Circuit 1 of the United Methodist Church. He has been active in the Democratic Party at the local and state level, and served as House Minority Leader from 2001-2003, as well as Chairman of the S. C. Democratic Leadership Council (DLC) from 2001 to 2003. Jennings presently serves on the S.C. Bar House of Delegates representing the 4th Judicial Circuit. He also serves as Chairman of the Late Paul Wallace Authority Board, and as a member of the State Board of Trustees for AMI Kids. He is married to the former Suzanne Cox of Marion and is the proud father of son, Douglas Edmund Jennings, who practices law in Charleston, daughter, Martha Grace Jennings, and step-daughter, Shannon D. Young, both of Charleston.